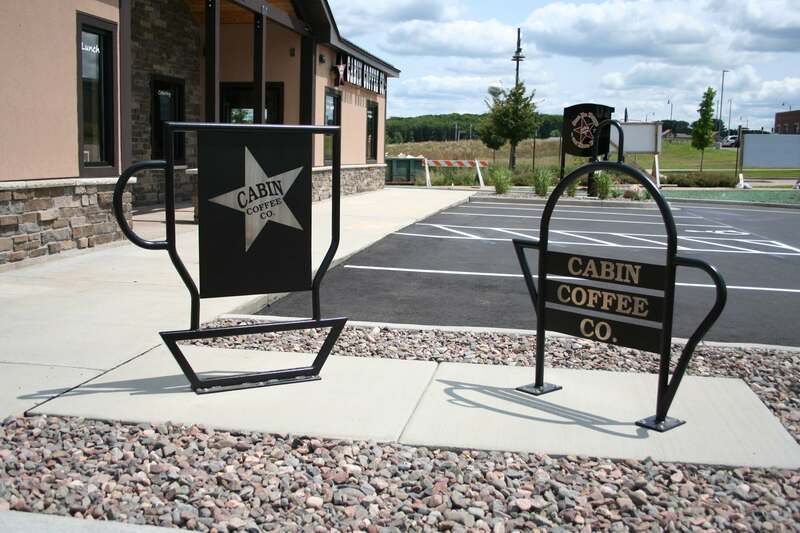 There are several different key design features that Cabin Coffee's have. 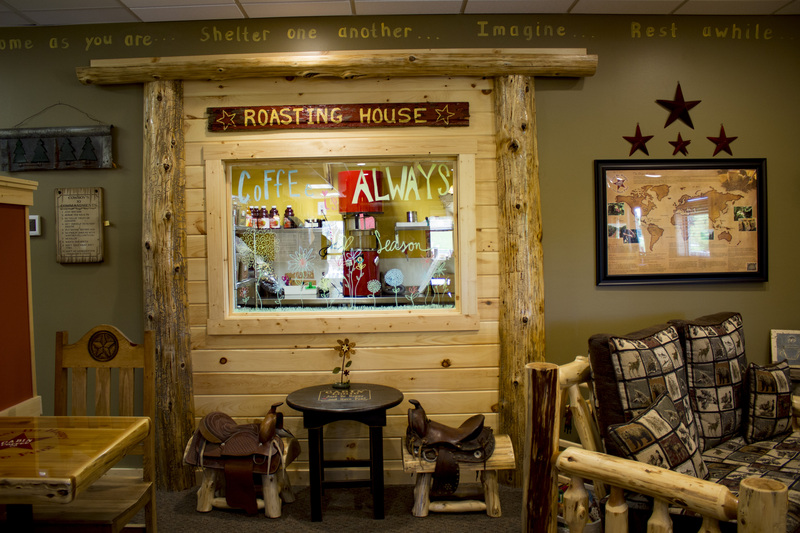 We suggest you include them all into your Cabin Coffee but it all depends on the location and your communities needs. 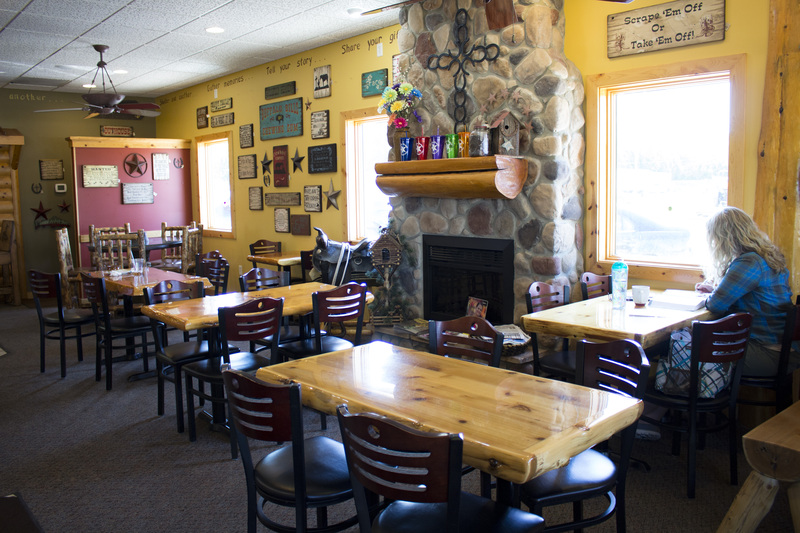 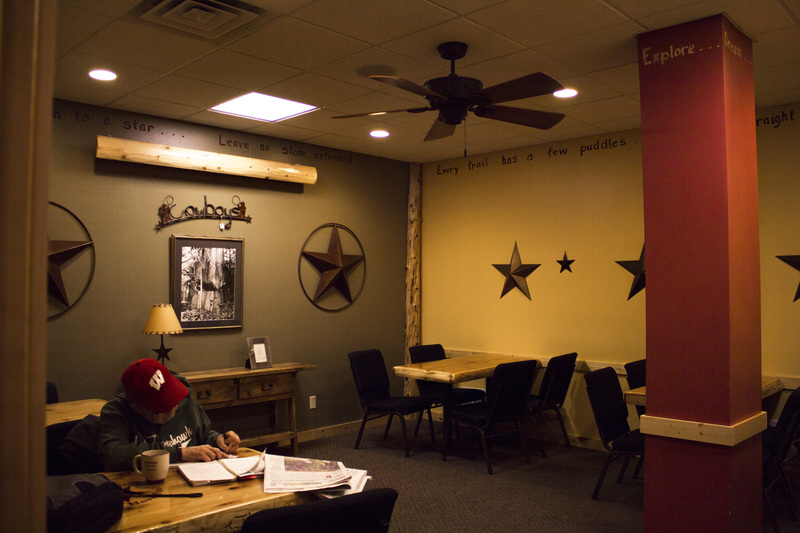 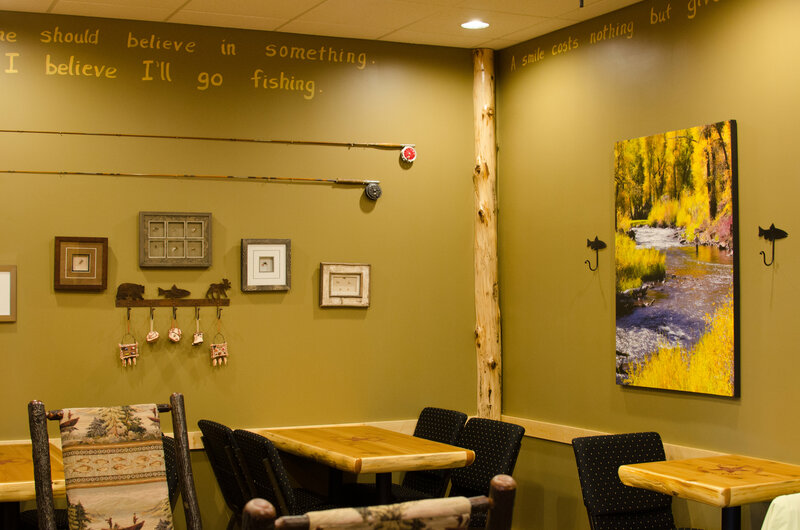 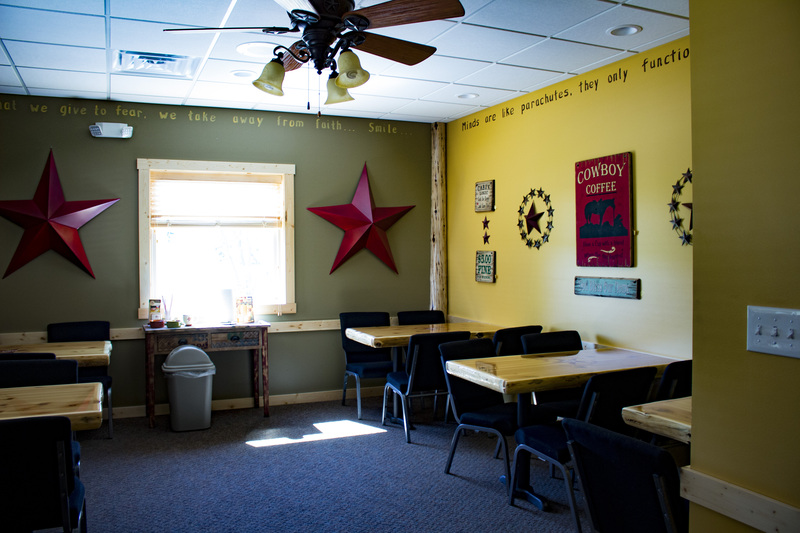 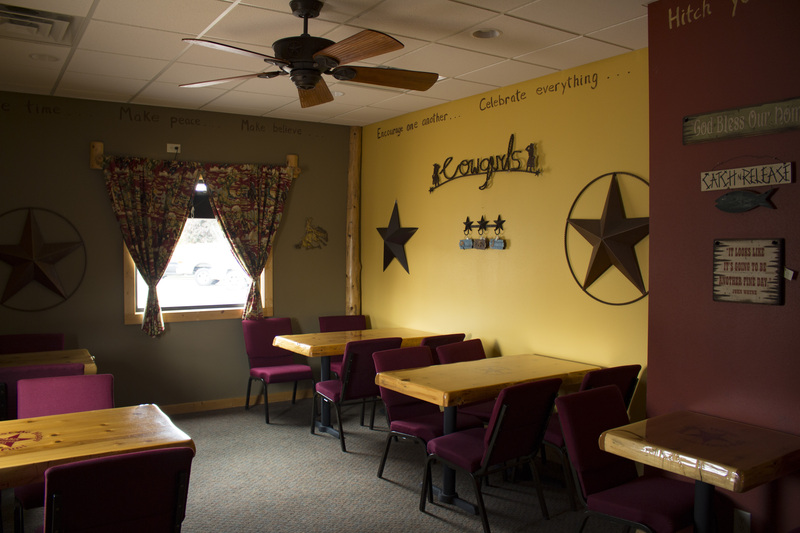 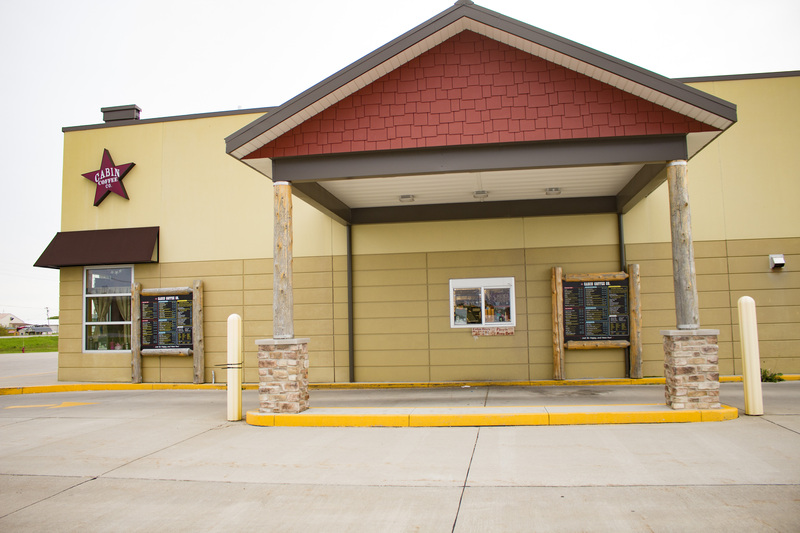 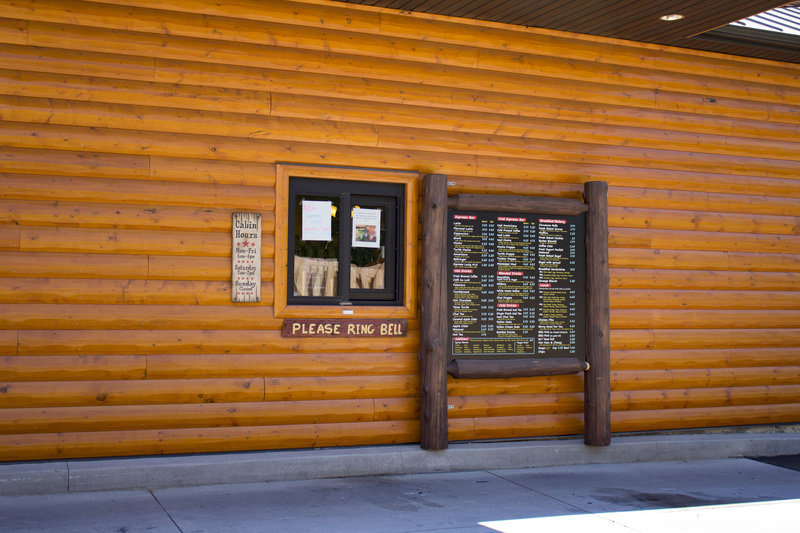 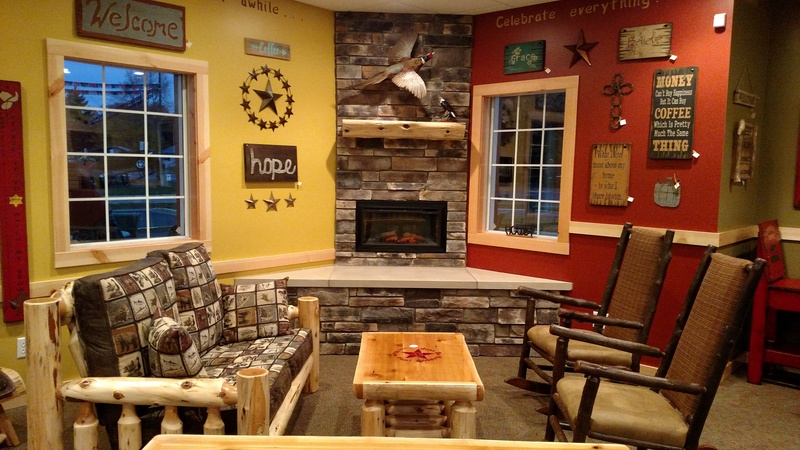 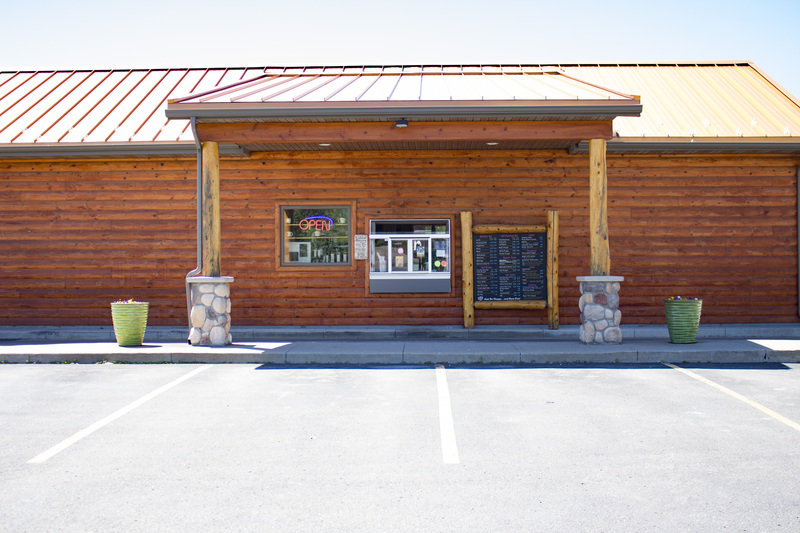 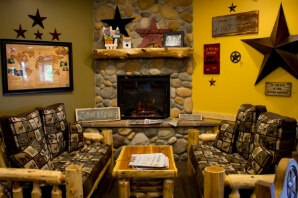 This can look a little different at each Cabin Coffee. 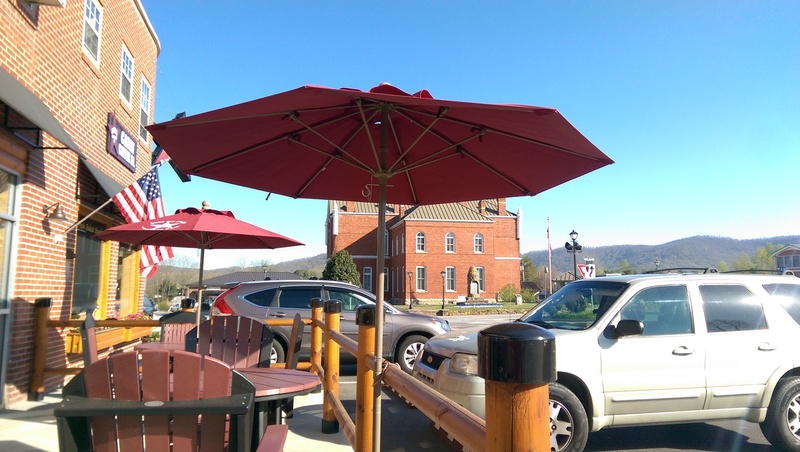 Whether it is a front porch with a few chairs or several tables. 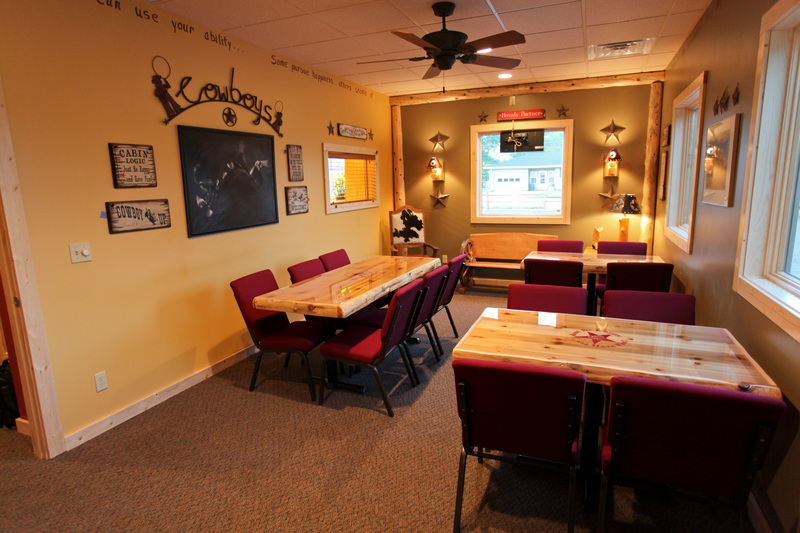 Perfect for students working on homework, Bible study groups, business meetings, Coffee 101 classes, additional seating, or more! 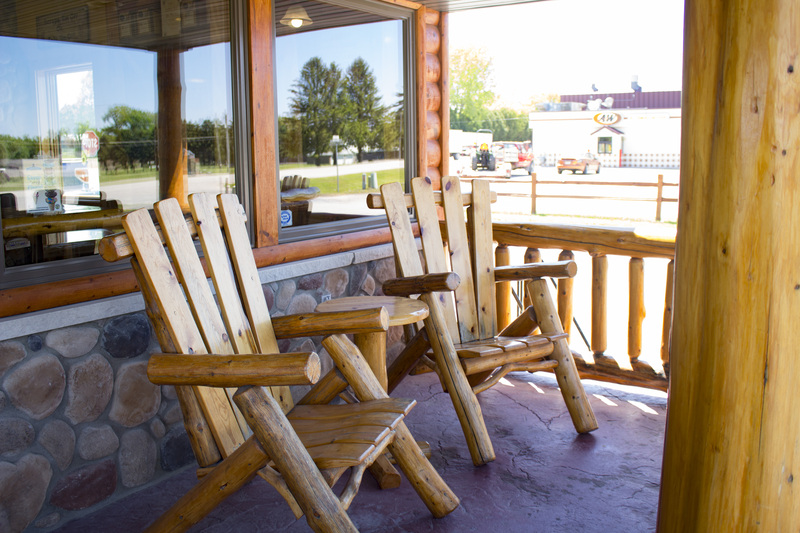 Whatever the use it is nice to have for our customers. 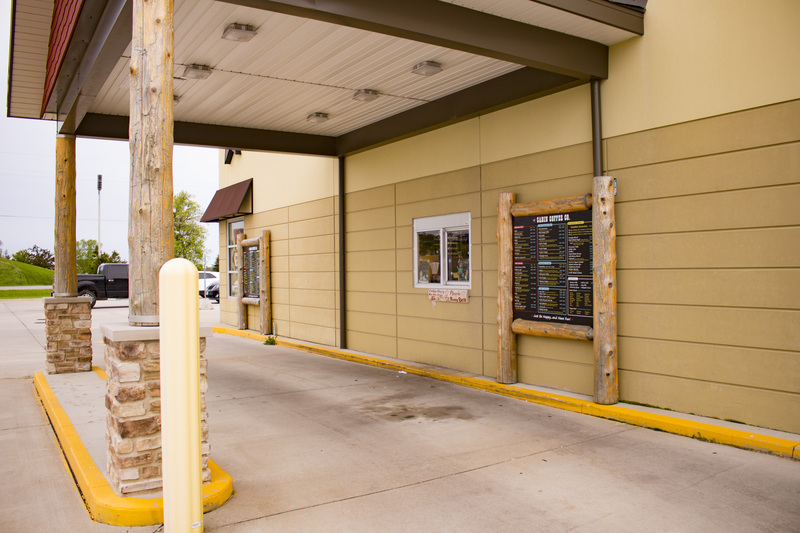 Ideal for adding more sales. 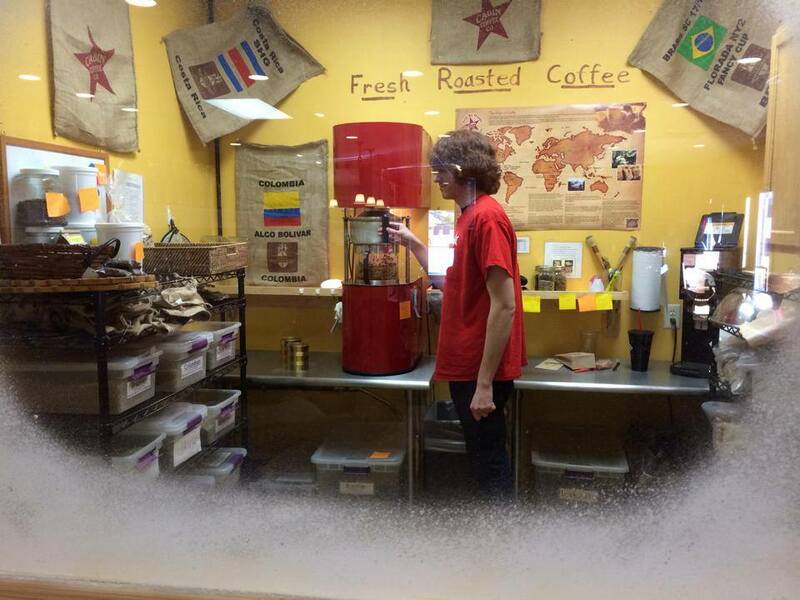 Easy and quick for our customers on the go! 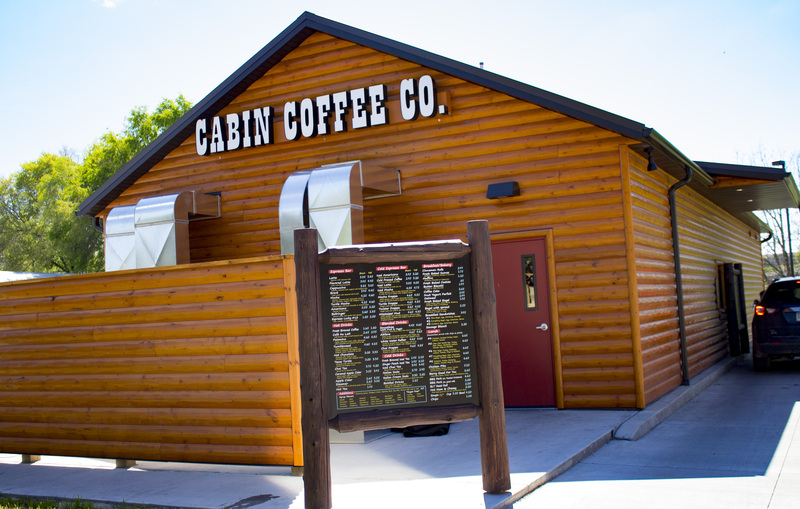 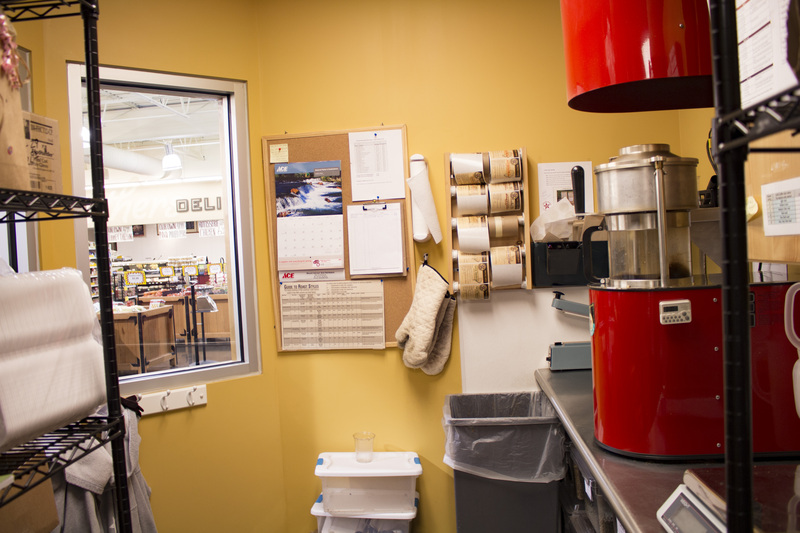 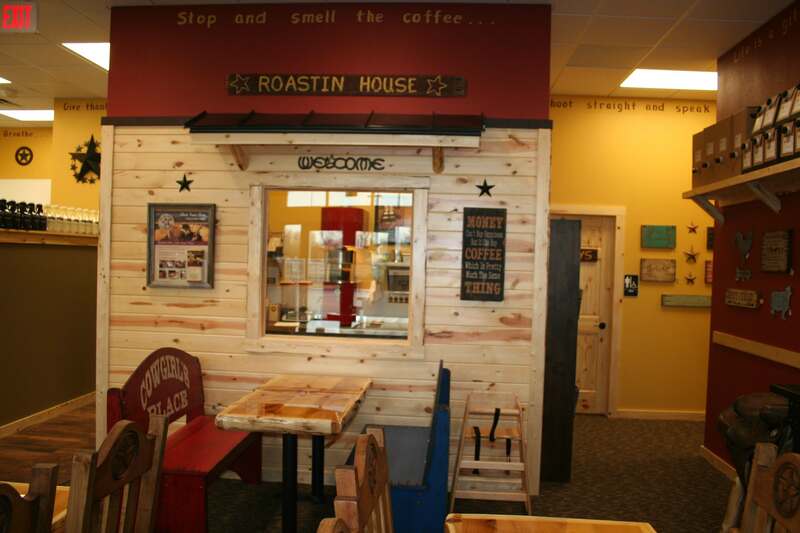 Each Cabin Coffee has their own Roasting Room. 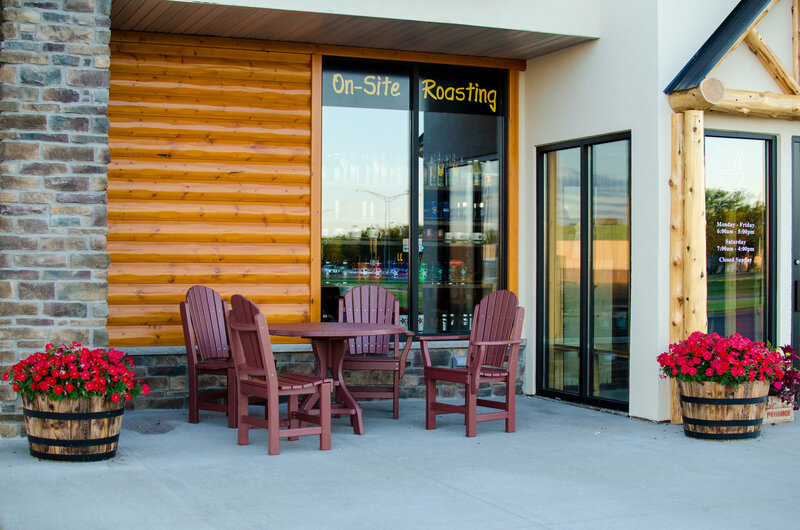 We roast all of our Coffee Fresh! 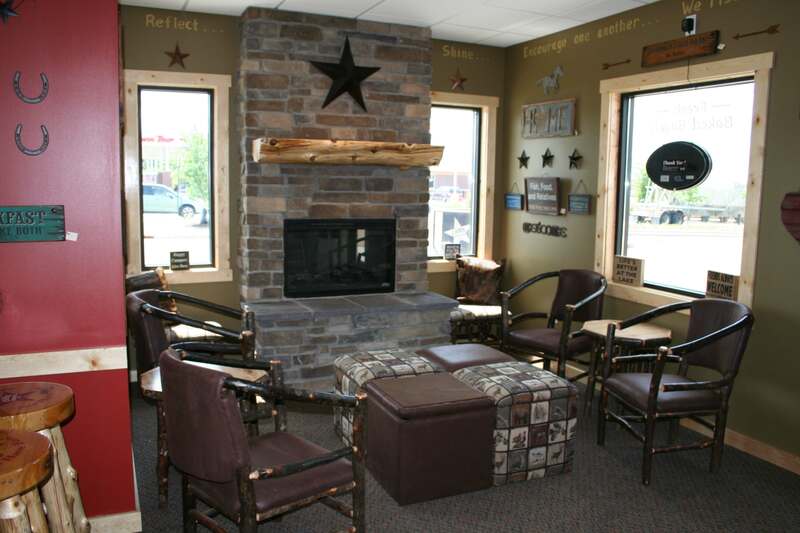 A fireplace adds a cozy and homey feel to our stores. 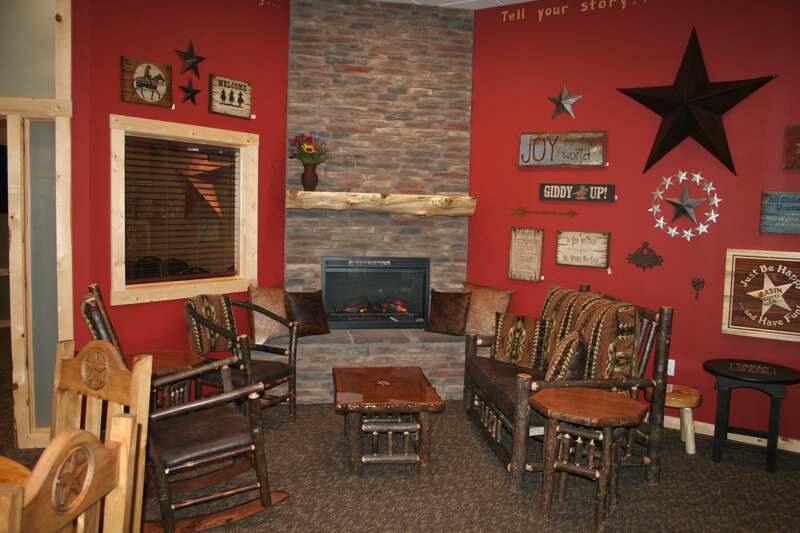 With comfortable seating surrounding the fireplace it is a great place for people to congregate and relax. 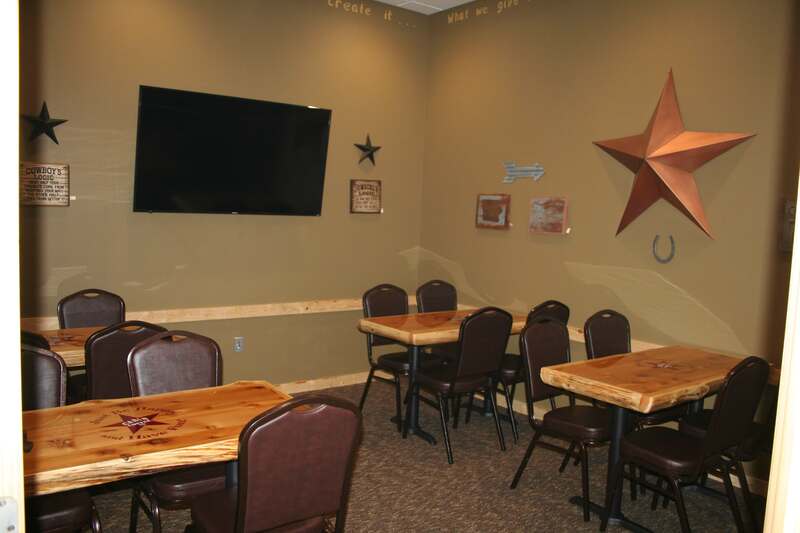 This will look different depending on the space available. 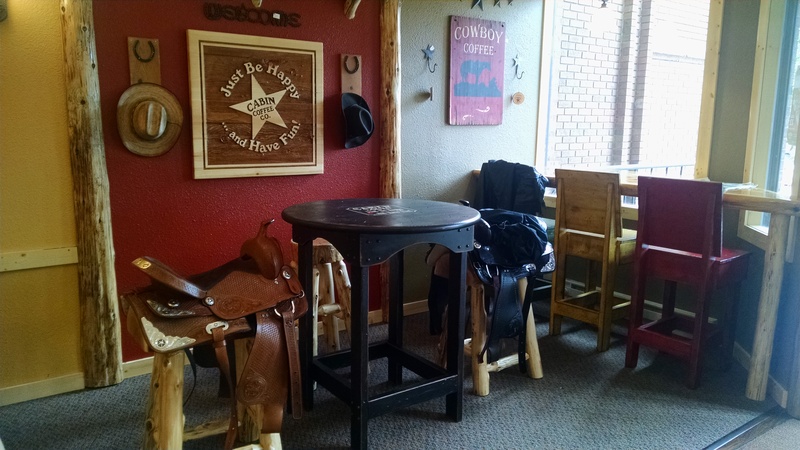 It could be anywhere from mini saddles around a small table with toys to a kid sized tee-pee. 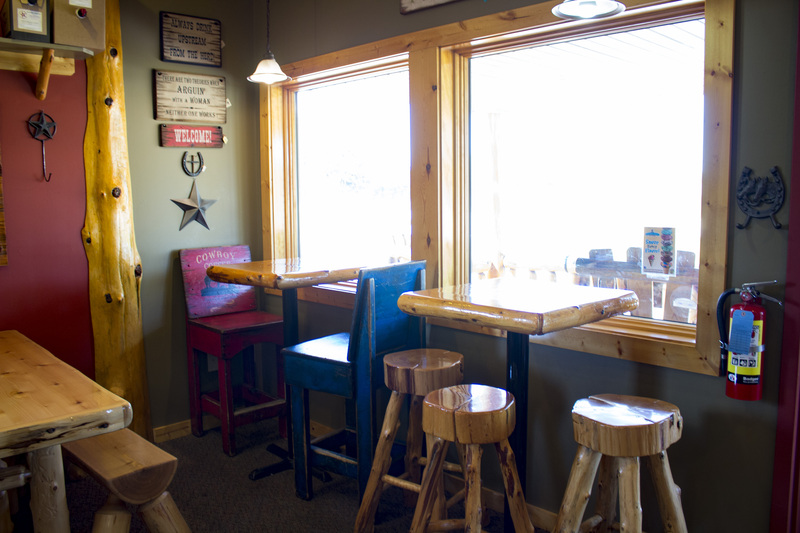 Bar seating is the most popular seat in the Cabin. 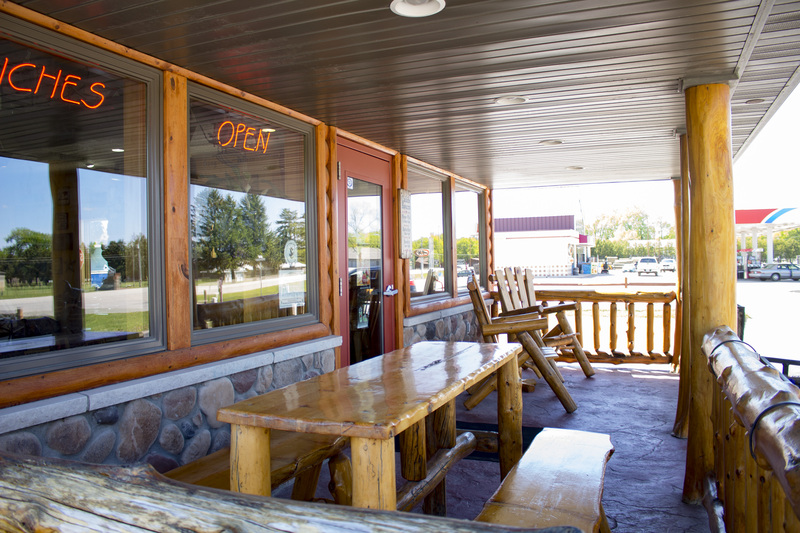 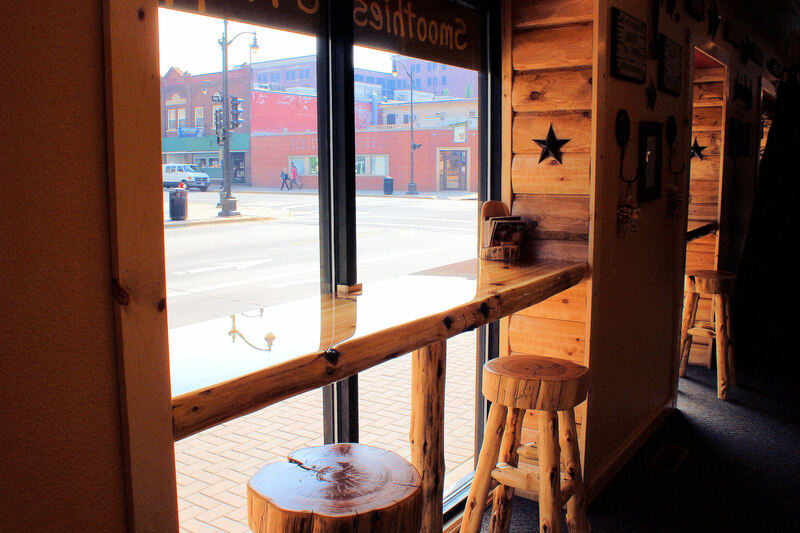 The seats are usually along windows and make a great spot for customers to enjoy a drink and the view. 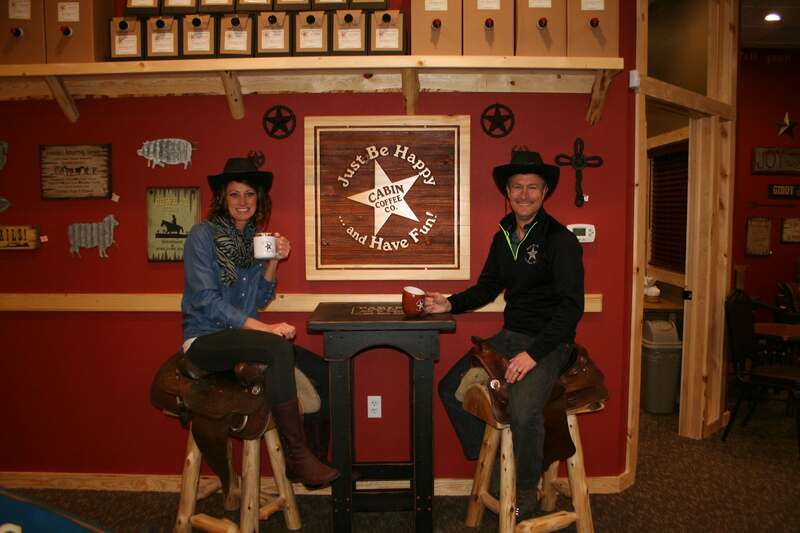 Our saddles not only make for functional seating but also a delightful picture spot. 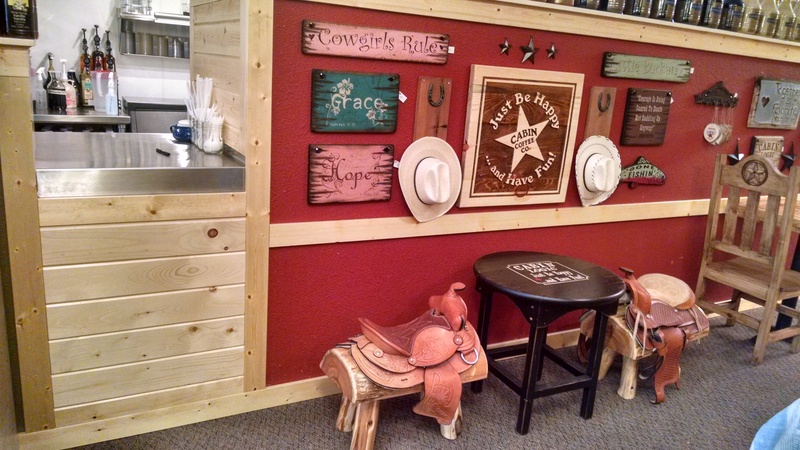 Customers will enjoy feeling like a cowboy/cowgirl while enjoying their meals! 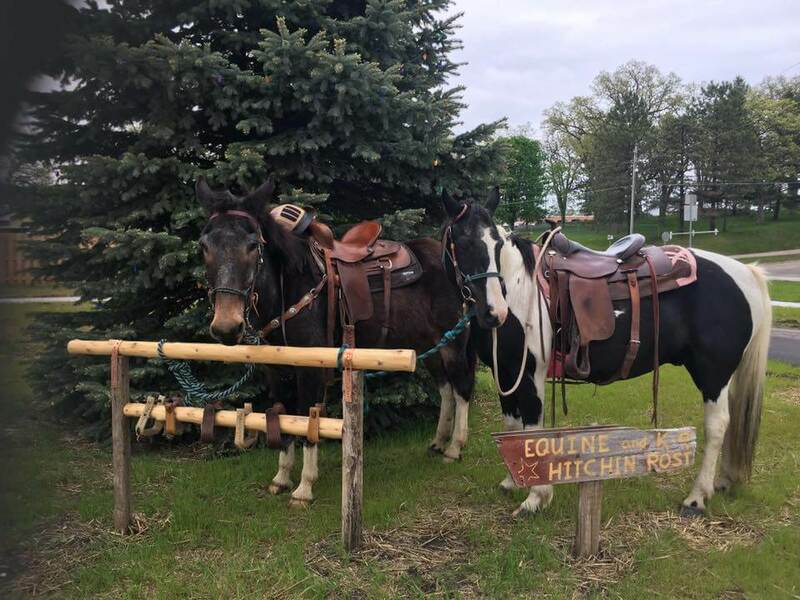 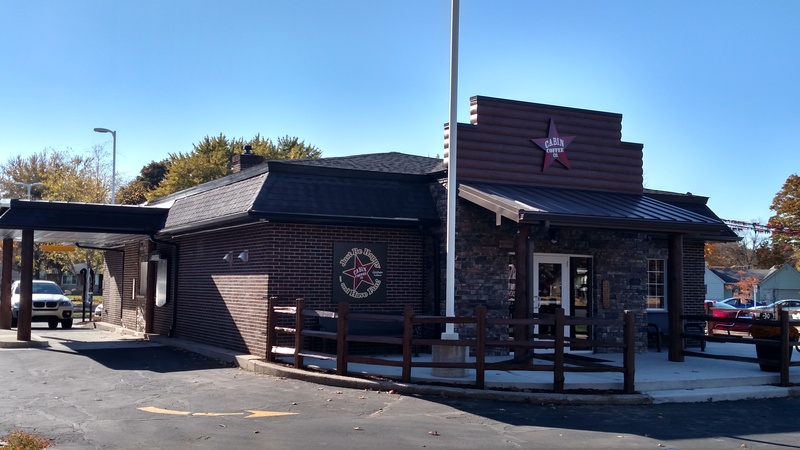 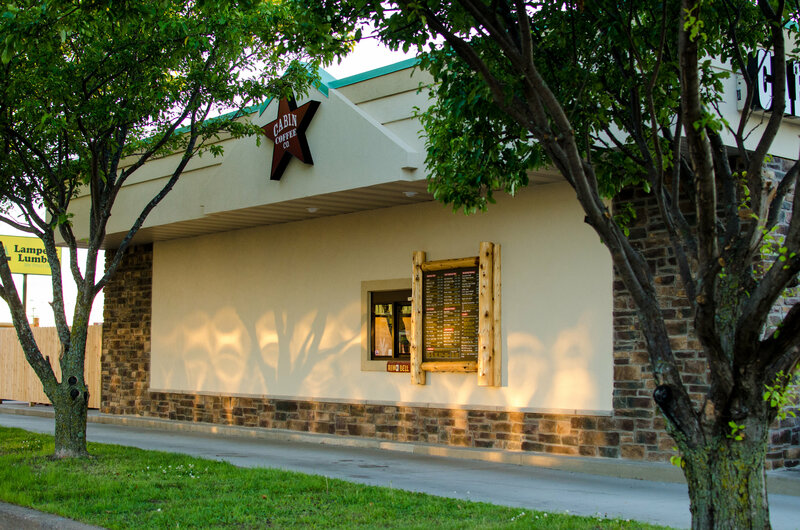 Whether your town needs a bike rack, dog spot, or horse parking, our hitching post is the perfect spot. 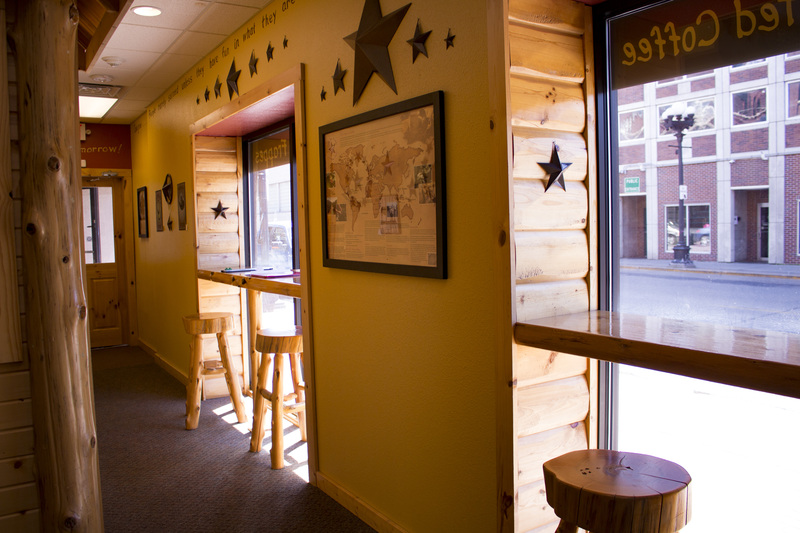 Each one looks a little different depending on the space.